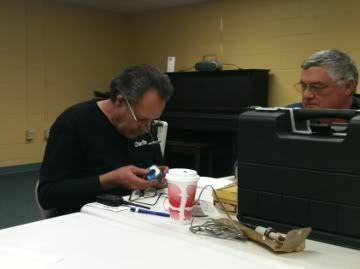 For the February topic, Roger Pience, N1XP, gave a hands-on demonstration of soldering. He began by going over some of the equipment required, and explained what soldering tips, flux, and solder works best in certain applications. From there, many of those on hand gave it a try for themselves, soldering components on printed circuit boards. Over three years ago, I wrote that amateur radio should do more to associate itself with the Maker, or "do it yourself" (DIY) movement (www.kb6nu.com/lets-get-on-the-maker-bandwagon/) Well, it finally looks like it is going to do just that. Here's the latest QSL cards received for club station WS1SM. 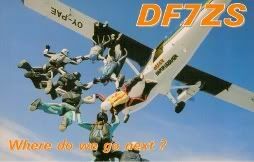 To view more, visit the QSL Gallery page on our website. The results from this year's Maine 2 Meter FM Simplex Challenge are official! We're happy to announce that this year's overall winner was Stephen Curry, KD1O, of Knox, Maine. Stephen had 71 contacts in 60 cities for a total of 4260 points! For a full summary and all the class winners, please click the link below. For anyone interested in getting a Skywarn spotter number, or if you just want to brush up on your weather spotting skills, stop by the Gorham Recreation Department on April 5th, for a Cumberland County Skywarn class. The class will start at 6:30PM. For more information about Skywarn, click here. April 12th - from 7PM-9PM at the Gorham Recreation Department. May 10th - from 7PM-9PM at the Gorham Recreation Department. The Wireless Society of Southern Maine would like to welcome Samuel Webber, N1WIG and Sean Binette, W1GFD as our newest members. Click here to view ham radio gear for sale, events, and other ads in our classified section. Remember this FREE feature when you have announcements or items for sale. Rumor has it that one of our club members has won the prestigious Worked All Small European Countries (W.A.S.E.C.) award, presented by the Association des Radio-Amateurs de Monaco. Well, spring is finally inching closer, and many of us can't wait to get out and enjoy the nice weather, though it can be unpredicatable this time of year. There's been a lot of talk lately about getting out to do a special event somewhere, but nothing's been firmed up yet. Just after our last newsletter went out, we hosted the 2nd Annual Maine 2 Meter FM Simplex Challenge. Participation was up overall and some huge point totals were put up by the overall and class winners. In all, it was a lot of fun, and a great experience. Can't wait till next year. This weekend, stop by our booth at the Maine State ARRL Convention, which takes place at the Ramada Convention Center in Lewiston, Maine, on Friday, March 23rd, from 7PM-9PM and Saturday, March 24th, from 8AM-12PM. Click here for more info, and directions. Remember, if anyone is interested in contributing, just send along a story, idea, brag, or picture to [email protected] As always, I also welcome any comments or suggestions on how to improve The Radiogram for future issues. This email was distributed by the Wireless Society of Southern Maine, 25 Graham Rd., Westbrook, ME 04092. If you believe you received this in error, please send an email to: [email protected] to be removed from our mailing list.